West Hampstead Housing Co-op is a fully mutual Co-operative registered with the Housing Corporation to provide low-cost rented housing. 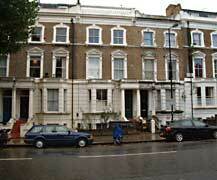 It owns the freehold of 91 properties, most of which are situated in the Camden and Westminster areas. A housing co-op is a group of people who live in and collectively manage their accommodation. This involves taking responsibility for arranging repairs, making decisions about rent and who joins or leaves the co-op. Living in a housing co-operative can be a good way to get affordable housing and can give you more control over where you live. It is usually most suitable for single people. Unfortunately, our membership waiting list is closed.